Payouts to webmasters are done on a bi-weekly basis on the 1st and 16th of the month. If these days happen to be holidays or weekends, the payments will go through on the first business day afterward. Sales generated for the Jan 1st - 15th period will be paid out on February 16th - 17th (or the next business day). Sales generated Jan 16th - 31st will be paid on March 1st. Get paid via check, wire transfer, Payoneer, Paxum, ePayService or eCoin. The minimum payout is $100, but we can always negotiate. Don't want to be concerned about the member retention rate? 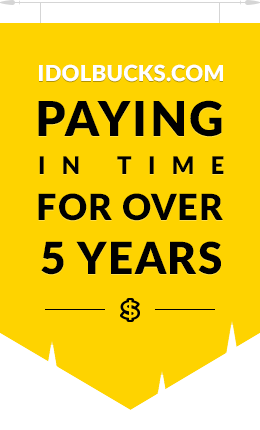 Choose pay per signup program and get paid up to $35 US dollars for any subscription, including the $1 trials. Send traffic and get paid up to 65% of all sales you have generated (new and recurring). Revshare is an excellent option for those seeking long-lasting and steady flow of income. Usually, this type of partnership bring more profit for webmasters in a long-term perspective. Refer an active webmaster and get paid 10% of his earnings for life! Send out our links to your friends and associates and for every $100 sale they make we will pay you $5.